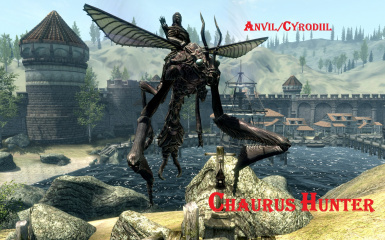 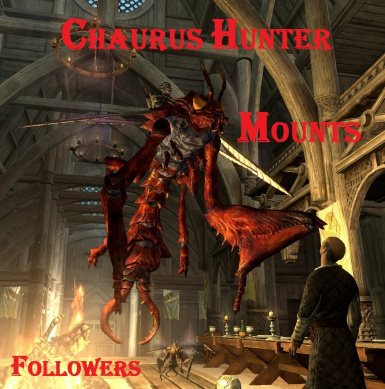 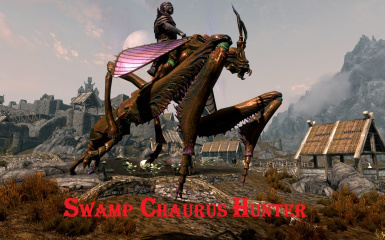 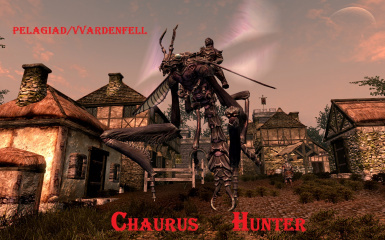 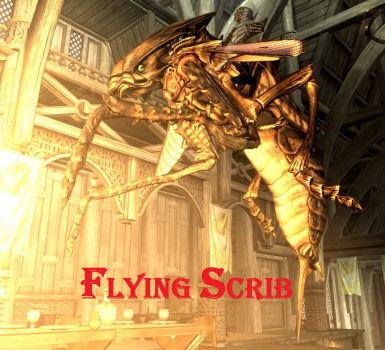 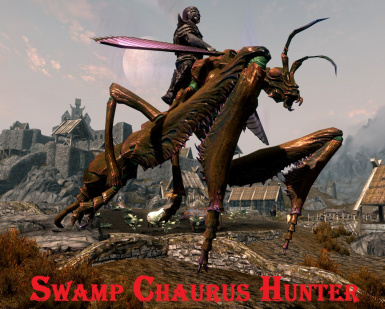 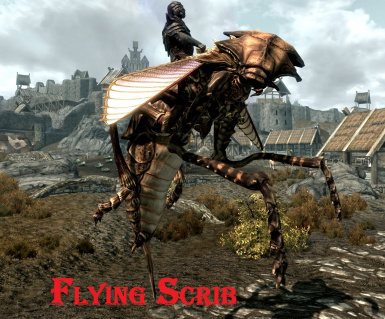 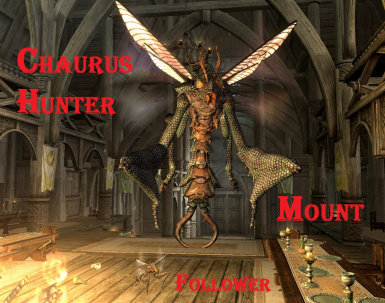 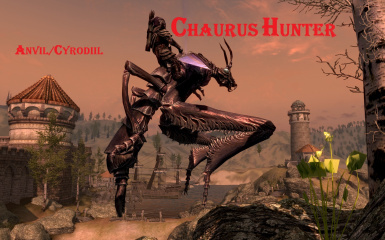 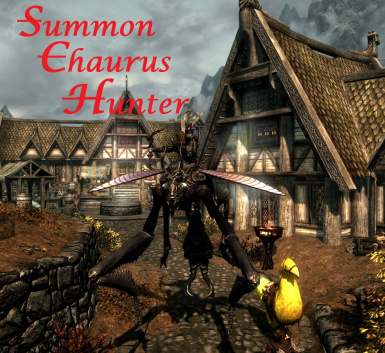 With this mod you can summon 5 Chaurus Hunters Mounts and Followers wherever you want + you can find 2 Companions Chaurus hunters in the Whiterun stable.The DLC Dawnguard is required. 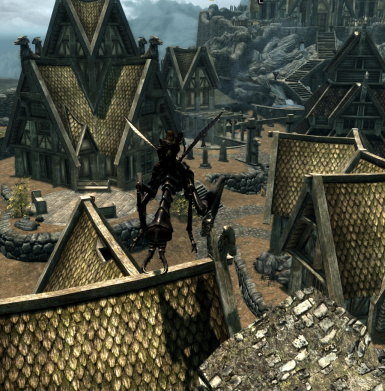 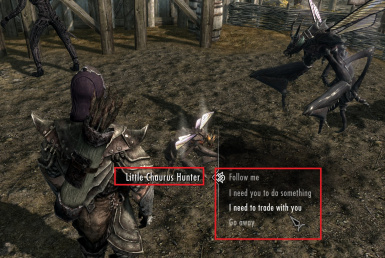 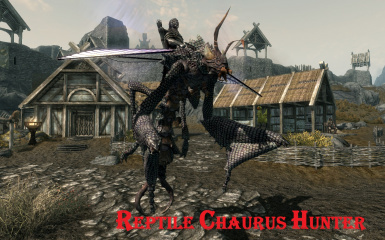 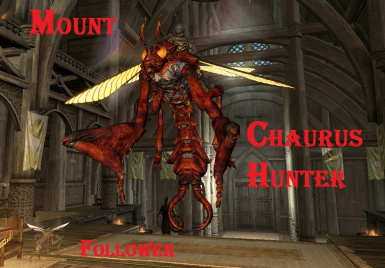 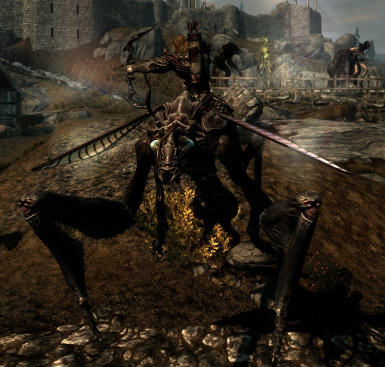 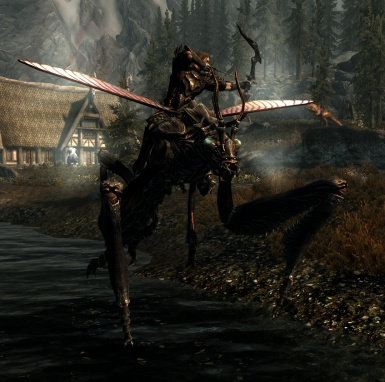 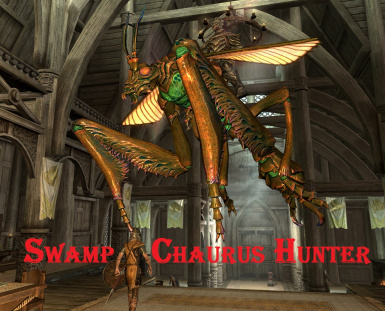 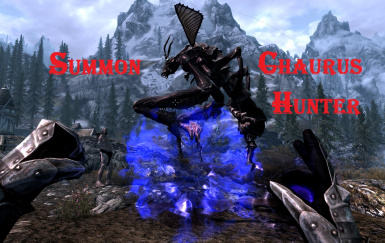 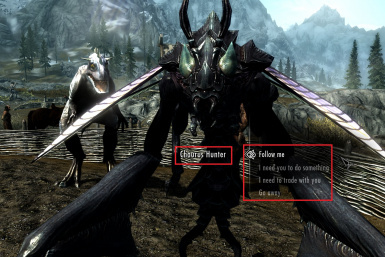 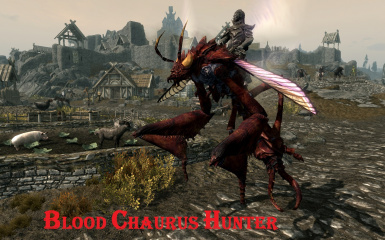 New in the version 1.5: You can easily DISMISS when you want with a "Spell tome:Dismiss Summoned Chaurus Hunter"
"Chaurus Hunter" allow you to summon 5 Chaurus Hunters Mounts and -simple- Followers wherever you want + you can find 2 Companions Chaurus Hunters in the Whiterun Stable. 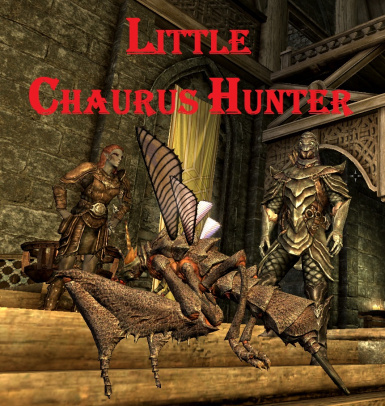 You can easily DISMISS when you want with a "Spell tome:Dismiss Summoned Chaurus Hunter"
Now you have the Flyable Chaurus Hunters in my new mod Fully Flying Chaurus Hunters ! 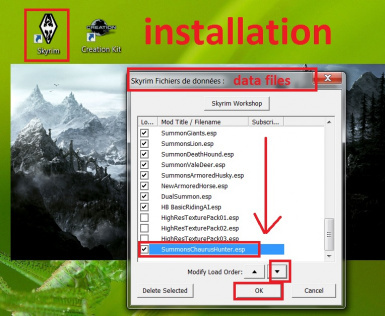 1)You have to put the folder « Data » in "...Steam/SteamApps/common/skyrim "
You can find the Spells tomes: "Summon XXXX" and the "Spell tome:Dismiss Summoned Chaurus Hunter" at Farengar Secret-Fire in Dragonsreach/Fort Dragon (Whiterun/Blancherive) or with an other "Spell Vendor" (ex: Sybille Stentor in the Blue Palace/Palais Bleu in Solitude). 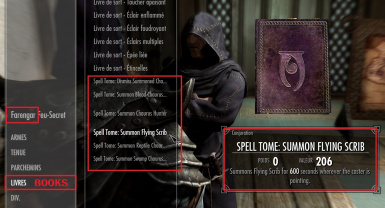 Duration of the summon: 10 min.